Quick overview Cult heroine Zawe Ashton brings us a unique look at life, work and the absurdities of contemporary lifeZawe Ashton has been acting since she was six. In it, she encounters glamour, horror, absurdity and questions like: is a life spent more on performance than reality any life at all? 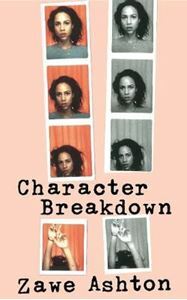 Zawe Ashton has been acting since she was six. She has played many different roles, from `cute little girl' to `assassin with attitude', Oscar Wilde's Salome to St Trinian's schoolgirl by way of Fresh Meat's Vod. To stay sane, an actress must tread a high-wire between life and art, keep sight of where a character ends and the real person begins. So she doesn't lose herself completely.